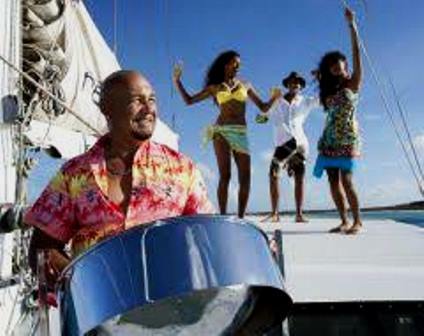 Caribbean music as any cruiser knows, besides the mandatory rum drinks, is an important part of any Caribbean charter. Whether you are listening to your own collection, music from other cruisers in your anchorage, or local island entertainment, the musicians of the Caribbean have a style all their own. Caribbean music varies from island to island, and local musicians will tune up almost anything to make a rhythm. 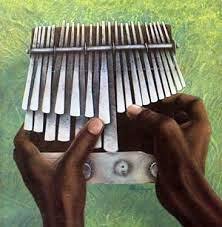 Bongo, conga and steel pan drums, maracas, guiros (notched hollow gourds played with a stick), tamboo bamboo (hollow bamboo tubes hit on the ground), as well as electric and acoustic bass, trombones and trumpets, and almost any other instrument contribute to today's Caribbean sound. The music is lively, fast and full of explosive expression. Most cruisers on a Caribbean charter think of Caribbean music as the ballads of Jimmy Buffet, the 1970's reggae sounds of Jamaican Bob Marley or the 1980's Calypso hit, "Hot, Hot, Hot" from Montserrat's Arrow. Yet, the music of the Caribbean encompasses a much more diverse variety of musical styles and traditions. There are over 70 different styles of distinct Caribbean music, which varies from island to island. These include the junkanoo from the Bahamas, the rumba from Cuba, Jing-Ping from Dominica, the meringue from Haiti, Reggae from Jamaica, Zouk from Martinique and Guadeloupe, salsa and bomba from Puerto Rico, and Calypso from Trinidad and Tobago. Several of the islands have more than one sound originating from their shores. Most of the styles combine features of music from Africa, as well as from the West. This combination began with the European colonization and slave trade, but still continues into the present. Caribbean music never stands still. Constantly borrowing and developing, it keeps pace with technological advances while remaining rooted in age-old tradition. 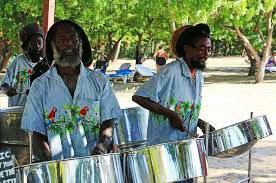 Underpinning all the Caribbean rhythms is the reverberation of African drums, and no matter where you cruise on your Caribbean charter, you will hear the sounds all over the islands. 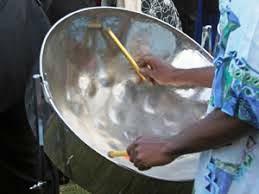 In addition to traditional drums, Caribbean percussionists will resort to gourds, tamboo bamboo, biscuit tins, dustbins, kitchen pots and the popular steel pan drums, first used in the 1930's by Trinidadians, who recognized the musical potential of discarded oil drums from the booming petroleum industry. Most Caribbean styles can be grouped into three categories - folk, classical or commercially popular music. 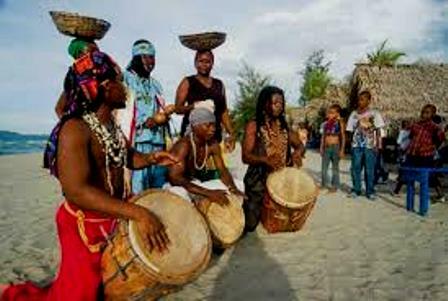 The folk styles have African drum-based rhythms, and include the tradition of collective participation with call and response vocals. Local forms of classical music were created in the 1800's in Cuba and Puerto Rico, as formally trained composers began to immigrate to the area. Today, jazz has also found a home in the Caribbean. With over 30 jazz festivals taking place each year in the region, local musicians combine New Orleans rhythms with their own distinct Caribbean flavour. Many cruisers plan their Caribbean charters around these festivals. 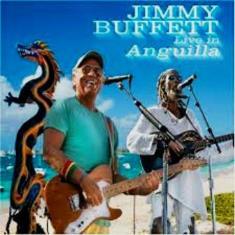 By far the more well-known forms of Caribbean music are the modern popular styles! 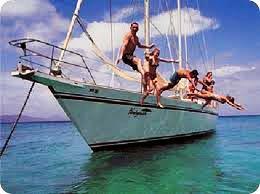 Although the cruiser on a Caribbean charter will hear various versions of the genre, the styles to gain widespread popularity outside of the Caribbean include salsa, reggae, calypso and zouk. Salsa refers to a style of music developed in the 1960's and 1970's from Cuba and Puerto Rico. The sound grew from the mambo orchestras of the 1950's, and was mixed with pop, jazz, rock and R&B. Recently, rapping has also been included in the most modern form of salsa. Salsa is essentially dance music with primarily percussion instrumentation and simple sentimental love lyrics. Songs may be sung in Spanish, English, or a mixture of the two, called "Spanglish." Crossover singers like Marc Anthony and Gloria Estefan have brought this form of Caribbean music to the American pop-market, while Caribbean bands like NG La Banda and Los Van Van are popular on the Spanish speaking airwaves. They can be heard on XM Radio's Reggaeton out of Puerto Rico. Or, while cruising the islands, tune into JAMZ at 105.3 FM, a cutting-edge music station with an up-tempo urban sound. Most cruisers on a Caribbean charter are familiar with reggae through the songs of Bob Marley. 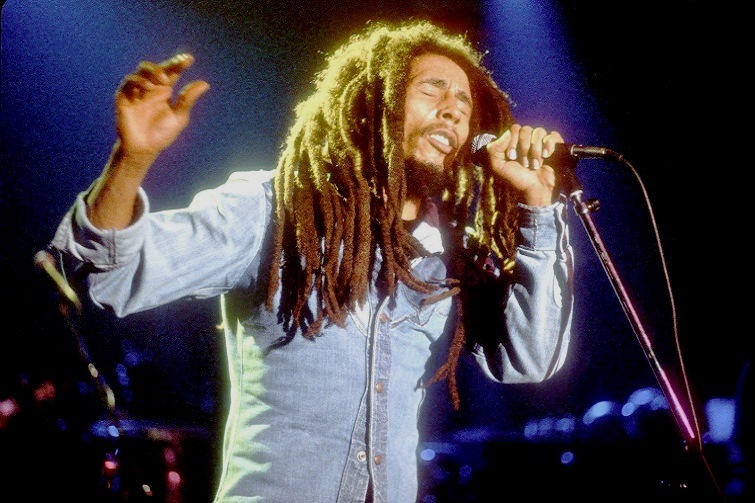 The roots of reggae music are based in Jamaica, although its popularity is now worldwide. Its origins can be found in traditional African drum music as well as American R&B. One of the main themes of reggae music is social liberation. The lyrics usually try to raise the political consciousness of the audience. Recurrent themes also include poverty and resistance to government oppression, especially the repression linked with the prohibition of ganja (marijuana). Like other forms of Caribbean music, a modern version of reggae has evolved from the days of Bob Marley. It has become more computerized, with lewd lyrics replacing the righteousness of the 1960's and 1970's. Reggae festivals are popular throughout the Caribbean and competition is fierce. Local performers are Blue Haze, Impulse and Lashing Dogs. While cruising in the islands, you can tune into KISS at 101.3 FM. XM Radio also offers, THE JOINT, a reggae station from Jamaica. Calypso is known as, "the voice of the people." It is Afro-Caribbean music which originated in the British and French colonial islands and is an integral part of Trinidadian music. It began with African slaves, who, not being allowed to speak with one another, communicated through song. It was eventually sung in French patois, but since the turn of the 20th century, has been sung in English. Many modern day Americans were first introduced to this type of music with Harry Belafonte's, "Banana Boat Song." The role of the Calypso singer was to disseminate gossip, spread news, and mock those in authority. Today, little has changed. Themes include satirical, political, and social commentary, and especially the male-female relationship. Emphasis is placed on the ability of the singer to compose intricate lyrics, obscure words, biting observations and spontaneous improvisation. Calypso is part of the cultural lifeblood of the Caribbean. Each island has well-respected major calypsonians, and national pride for the musicians runs high. The climax comes each year at Carnival, which provides the background for fierce competitions, lucrative prizes, and front-page headlines. Calypso music can be heard throughout the islands, but the British Virgin Islands is home to two famous performers. 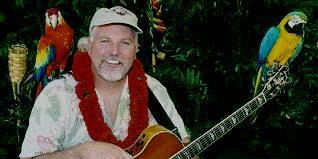 Foxy Callwood sings spontaneous Calypso ballads, usually about his cruising guests at Foxy's on Jost Van Dyke. Two of his most popular musical events are the December 31st Old Year's Night party and the Wooden Boat festival held in the spring. When he is not off recording, Quito Rymer performs at Quito's Gazebo in Cane Garden Bay, Tortola. The final style of Caribbean music, popular world-wide is zouk. This rhythmic music originated in the 1980's from the French Antilles islands of Martinique and Guadeloupe. Zouk means, "party" in the local creole French. It borrows from the cadence music of Dominica with English and African influences. The leading band was the Guadeloupean, Kassav, who captured the festive mood and euphoria that marked the local spontaneous street carnivals while integrating old-style rhythmic dance elements into a modern sound. The success of Kassav, and others, marked the entry of French Caribbean music into the international marketplace. It also offered an original, rather than borrowed style, including a long overdue emphasis on women's voices. The island of Dominica, sandwiched between the two islands, has developed its own version of zouk music known as soukous. Although the rhythms are similar to its neighbors, it is characterized by driving bass guitar, pulsating drums and digital keyboards. The wildly popular Dominican Windward Caribbean Kulture (WCK) band specializes in this type of music. More specific information can be gathered from each island's visitor's bureau. The Limin' Times out of the BVI features scheduled daily dates and places, as well as upcoming events. These festivals are a spectacular spectacle of sounds and sights, and it is worth considering booking your Caribbean charter around one of these events as the perfect time to visit the islands.